The wonderful Yorkshire Terrier is a highly popular toy breed dog. 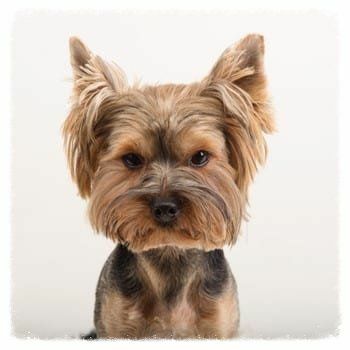 The Yorkie's development can be traced back to England, where he was used as a mill dog and a 'ratter'. Later, this breed was used for hunting small animals that lived in dens and burrows hidden on the forest floor. During the Victorian Era, royalty embraced this tiny dog, making him a sought-after companion. Recognized by the AKC in 1885, the Yorkshire Terrier has consistently ranked in the top 10 most popular registered breeds. He is friendly, energetic, and expressive, making him a wonderful canine family member. Yorkshire Terrier Care Tips - Updated - We've reworked this article to offer more concise guidelines. Whether you have a young pup or an older adult, this will help you organize everything you need to do to provide optimal health, comfort, safety, and happiness. Yorkie Haircuts - Updated - This article has been completely re-written with new, cute photos showing your options and helpful advice. Yorkshire Terrier Scooting - Does your Yorkie ever rub their bum along the ground? If so, you'll want to see the top reasons why dogs do this and the exact steps that you should take as soon as possible. How to Keep a Yorkie Clean - For being a small dog, Yorkshire Terriers can get surprisingly unkempt. Since you should only give baths once every 3 weeks, these 8 steps will keep your Yorkie looking clean and smelling nice at all times. Includes ears, face, paws, and full body tips for tidiness. Yorkshire Terrier Separation Anxiety - Updated - If your Yorkie has trouble staying home alone, this newly updated article covers everything you need to know. Includes the exact steps to setting up a comfortable and secure area for your little one and some super-helpful 'stay busy' and calming aids. Stopping a Yorkie From Eating Grass - Does your Yorkie munch away on grass as if it's their favorite snack? Learn why dogs do this and the exact steps to stop this unhealthy and potentially dangerous behavior. Top 10 Yorkshire Terrier Safety Tips - These are the 10 most important things you can do to ensure your Yorkie is safe. See how many you are following to be sure your little guy or gal is not in danger from accidents, injury, and an array of health issues. How to Find a Reputable Yorkie Breeder - If you're looking for a puppy but are not sure how to weed out the legitimate breeders from the rest, this guide will help. When a Yorkie Excessively Licks Their Human - Licks are like kisses and it's always nice to have your dog show some affection in this way. However, in some cases it can get really out of control. 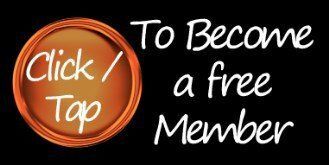 Learn why this happens and exact training steps to have this resolved within 2 weeks. 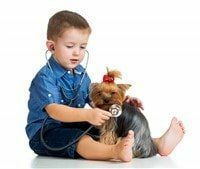 Treating a Yorkie for Vomiting - The top reasons for all types of vomiting issues, and exact steps to remedy this as soon as possible. Yorkshire Terrier Allergies - Updated - This section has been entirely rewritten, with specific guidance to resolve any allergy issues, for both puppies and adults. Introducing a Yorkshire Terrier to Another Dog in the Household - Whether it's a new Yorkie puppy coming into the home of an established dog, or your current Yorkie will need to greet a new pup, these tips will help everything go smoothly. Yorkshire Terrier Car Sickness - Why this happens and the 5 steps to prevent this from ever happening again. The Best Shampoo, Conditioner and Leave-Ins for a Yorkie - If your Yorkie's coat is dull and lost its shine or if your puppy or dog has dry skin, itching, or other troublesome problems, this is your guide to fast resolution. When a Yorkie Puppy Barks or Cries All Night - This is an obstacle that many new owners face, but luckily there are some very helpful methods to stop this rather quickly. The Top 4 Benefits to Using a Playpen for Your Yorkie - Not just for puppies, these are beneficial for Yorkies of all ages. The Top Toys for a Yorkie - For both puppies and adults, the 6 types of toys every Yorkie needs. Puppies are born black and tan with black as the primary color. This changes during the transition from puppy to adult coat, at which time the black turns to blue and tan becomes more prominent. Blue is often a dark steel-blue, though can range from a light to a dark silver. Skin pigmentation (eye rims, nose, lips, and paw pads) are black. Learn all the details of color changes and puppy and adult color information. NOTE: For a brief time, there was a minimum weight set by the AKC, of 4 lbs ( 1.81 kg). The Yorkie was originally a working class family's dog. Then, during the Victorian Era, this breed became popular among royalty. This change made the Yorkie a very sought after dog breed and those who owned one were admired. 2 purebred Yorkshire Terriers, both with a genetic recessive genes, mated to produce a white spotted Yorkie. This, in 1984, created a new breed known as the Biewer. Although it is said that the Yorkie used to originally be used as "rat catchers" long ago, there is evidence that this breed was also used for hunting, especially for small animals that would hide in tiny dens. Because animals in dens that are cornered often fought back brutally, this gave the Yorkshire Terrier the characteristic of having great courage and valor. This breed is considered to be above average in regard to intelligence. Though this is a tiny breed, this does not negate the need for routine grooming; there are tasks that should be done on a regular basis to keep a Yorkie clean and tidy. This includes baths every 3 weeks using a shampoo that keeps hairs healthy and moisturized, nail trimming every 6 weeks, brushing the coat 2 to 4 times per week (depending on the length), and touch-ups as needed such as wiping down the coat or the facial area. Yorkshire Terrier Hair and Coat: A great overview of what to expect as the puppy coat transitions to an adult coat, plus great tips for Yorkies of all ages and coat lengths for keeping the hair healthy and looking great. Shampoos and Coat Products for a Yorkie: This breed can be sensitive to products applied to the skin and coat. So, using plant-based shampoo with proper pH and no additives is best. If a Yorkshire Terrier has dry skin, hot spots, itching or other issues, a specialized rinse may be needed. When a Yorkie Has Dry Skin: This commonly starts developing in the wintertime, though may be noticed at any time of the year. In most cases, this will be accompanied with moderate itching. 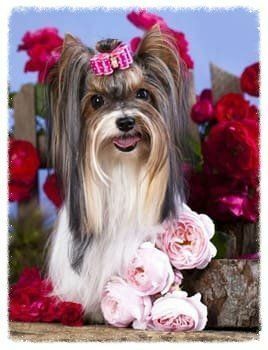 Yorkshire Terrier Haircuts: A cute collection of different hair styles with photo contributions from site Members. Did you know that 20+% of all dogs suffer from some type of allergy, and allergies may develop at any age. A reaction to pollen, weeds, or grasses is the most common type; however, there are many elements that can trigger this including food ingredients (most often additives such as artificial flavoring or preservatives), shampoos, and even certain fabrics. Though this breed is tiny, this is not a self-exercising breed. With a high energy level and curiosity to match it, Yorkies should be exercised on a regular basis. Taking care of your Yorkie’s teeth is very important, as this breed is prone to tooth decay. It will take a combination of both at-home care and professional checkups keep your Yorkie's dental hygiene on track. At home, brushing with an appropriately sized brush while using an effective paste, along with quality dental treats will go a long way in combating dental disease. The element of docking a Yorkshire Terrier’s tail is quite controversial. In the United States, a tail docked to a medium length is very common and is part of the AKC breed standard. Yet, many countries have banned this practice, such as Australia, Finland, Greece, Sweden and Norway, among others. Efforts to ban tail docking grew strong in the 1990’s. If you are thinking about docking the tail or have any questions about this procedure, read more details regarding this in our Tail Docking section. This is one adorable canine friend that seems unaware of his small size. This breed is usually very enthusiastic for adventure whether this be exploring a new walking path or accompanying you to run an errand. He has wonderful quirks and traits. 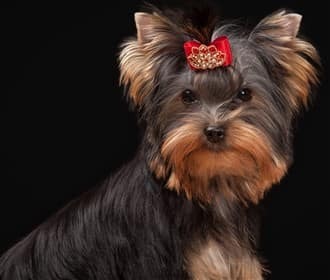 The Yorkshire Terrier is also is very energetic, brave (due to its ancestry which called for courage), loyal and his behavior can be quite clever. Therefore, when one is looking for a loving, happy friend, this is the breed! Known to be very affectionate with its human family members, they love to give and receive attention. This loyalty also shows when strangers come around, as they will want to protect their family and can be a great watch dog inside of a little body. This protection instinct can become a behavioral issue if the dog is not shown very clearly whom is the master and whom is the canine family member. Easy to housebreak if proper training procedures are followed, great with children if youngsters are shown how to properly play with this very tiny dog and filled with personality, the Yorkshire Terrier has found its way into millions of homes. This breed is among the 10 most popular dogs in the entire world. In the United States and Canada, this breed usually stays in the top 14 most popular dogs, the number of registered dogs varies any where between 40,000 and 50,000 in the US each year. All dog breeds are prone to their own set of genetic health issues, and unfortunately the Yorkshire Terrier is not an exception. Being aware of general health, as well as signs of red flag issues is vital to a good prognosis. Some of the top concerns for the Yorkie include Legg-Perthes disease, retinal dysplasia, luxating patella (kneecap dislocation), collapsed trachea, and portosystemic shunt. Some Yorkies can be rather mellow and others may have plenty to say. Excessive barking can be attributed to attention-seeking behavior, disturbance, reaction to a trigger, or even boredom. If this is not corrected, it can become quite an issue. Though every dog will be vocal to some extent, there are some things you can do to minimize barking. The food that you offer to your Yorkshire Terrier for both meals and snacks plays a huge role in his health, both now and long term. A huge problem with many of the commercial brands that are so popular and fill the pet supply stores, is that they are severely lacking in nutrition, but filled with all sorts of chemical preservatives, flavoring and coloring. Toy breeds, perhaps more than any other, have an intolerance to this and can react various ways, from skin irritations to upset stomach. 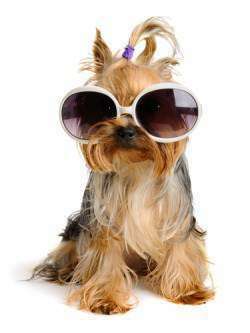 Yorkie Heat Cycles - If you have an un-spayed female, you'll want to know about the heat cycle. Yorkie Puppy Teething - When a puppy is teething, it's rough time for both owner and pup. Teacup Yorkies - Yorkshire Terrier is one of the smallest breeds in the world. Is there a variety that is tinier than 7 pound or under standard? Supplies Needed for a Yorkie - A list of helpful, recommended items for optimal care of Yorkie puppies and adults. When having the 'Show Dog' look, the ultra long, silky coat parts along the spine and then gracefully falls straight down on either side.Though the coat can easily grow to floor length in just a few year, most owners opt for the 'puppy cut', short to moderate as this is much easier to groom, maintain and keep clean. In the US and some other states, the tail is usually docked to half its length. In most other countries, the tail is left natural. The head is flat with a medium-sized length muzzle and black nose. The eyes are very lively and the ears are v-shaped, erect or semi-erect. Limbs should be straight with round paws and black nails. 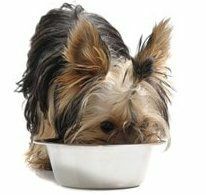 If left untrimmed, the hair on the head grows so long that it is usually gathered in a band to keep from going into the dog's food bowl and to give the Yorkie maximum visibility. This is known as putting the hair into a topknot. "The amount of time that it takes for a dog to 'do his business' is directly proportional to the outside temperature and the suitability of the owner's outerwear."